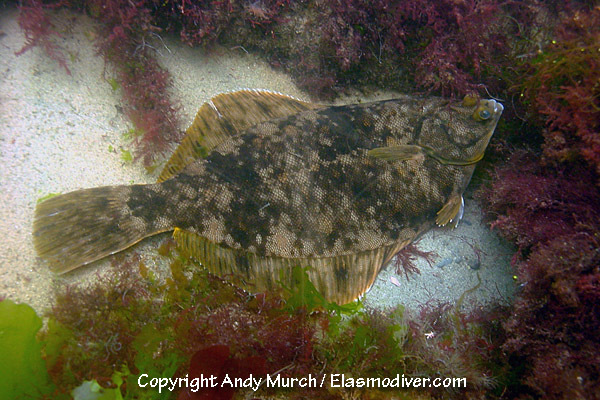 The Winter Flounder (Pseudopleuronectes americanus) is a common inhabitant of North Atlantic shorelines. As the name suggests it enters shallow bays in the winter and recedes to cooler water in the summer. 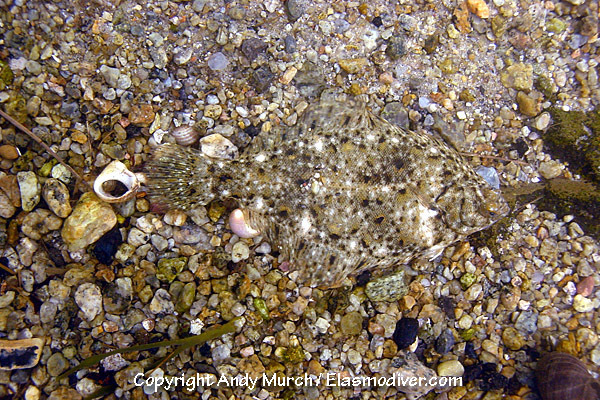 These Winter Flounder pictures are available for commercial licensing. For further information regarding usage please e-mail Elasmodiver. All of the images on elasmodiver.com are copy right protected. No unauthorized use of these Winter Flounder pictures is permitted. Please contact Elasmodiver for further information.